There are so many good things about spending time outdoors—enjoying the sunshine, getting physical activity, or even camping under the stars. That’s a particular favorite pastime of mine, which gives me plenty of time to sit around a campfire and stare up at the moon in wonder. Our closest celestial neighbor, and our planet’s beloved satellite, has been a source of fascination and legends for millennia, since the beginning of humanity on Earth. However, the moon has been around a lot longer than that—more than 4 billion years, in fact—and has a variety of impacts on life as we know it. Throughout history, belief in the effects and importance of the moon have waxed and waned. Some myths have been proven completely untrue, even as science has found additional reasons to praise our lunar companion. Sorting through the truth and fiction can sometimes be difficult, but that’s our job here at ScienceABC! Before we can understand the impact that the moon has on Earth, we should probably talk about the massive impact that gave rise to the moon in the first place. Approximately 4.5 billion years ago, a Mars-sized planetoid smashed into Earth as it was beginning to coalesce into a stable planet. This was a colossal impact, and spewed out huge amounts of the molten core of the planet into nearby space. Following the collision, the debris coalesced over a few million years to form the moon as we know it today, although back then, it was much closer to our planet. 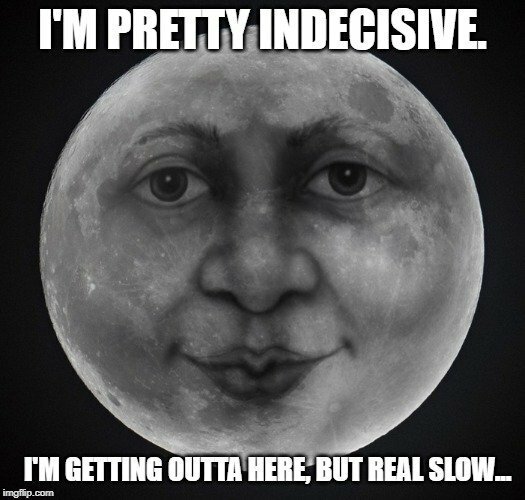 You may not know this, but the moon has been moving slowly away from Earth for billions of years, at a current rate of approximately 4 centimeters per year. Since its initial formation, it has developed a steady and stable relationship with the Earth, providing stability and moonlight, as well as various physical effects on our oceans, ecosystems and—as some believe—even our mood! As mentioned, there are a number of very true and very false claims that have been made about our glowing neighbor, and it’s critical to know the difference! When it comes to how our reflective moon affects our lives on Earth, the major points include tidal activity, planetary tilt and evolutionary history, including the history of humanity on the planet! While the early moon was stabilizing and solidifying in Earth’s orbit, the oceans of the planet were also cooling, following a few hundred million years of post-impact instability. Despite the fact that the moon is much smaller than the Earth, it does have a gravitational pull, and 4 billion years ago, when the moon was half the distance from Earth that it is right now, that gravitational pull was significantly stronger. That pull was much more noticeable on the side of the planet facing the moon, as well as the center of the planet, rather than the opposite side of Earth (facing away from the moon). As a result of this, we have tides on this planet, caused by the bulging of water on the side of the planet facing the moon. “High tides” occur on coastlines of the world roughly every 12 hours, followed by low tides 6 hours later. 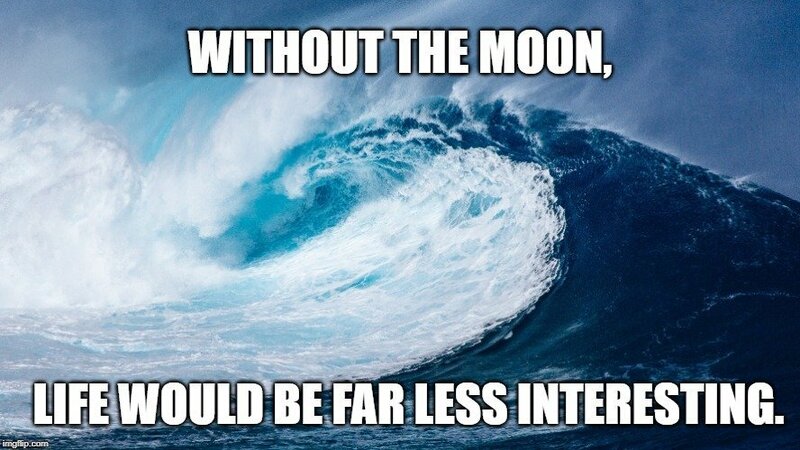 These tides used to be far more extreme when the moon was closer to the planet, but have diminished over the past 4 billion years as the moon orbits ever further away. The moon has also slowed down the spin of the Earth in a major way over the past few million millennia. Rather than having 6-12 hours in a day, as was likely the case in those early days of Earth, tidal friction from the bulging of that ocean water has slowed the rate of our planet’s spin. The moon is still shortening the length of every year, but at a microscopic rate of less than 1 second every 50,000 years. 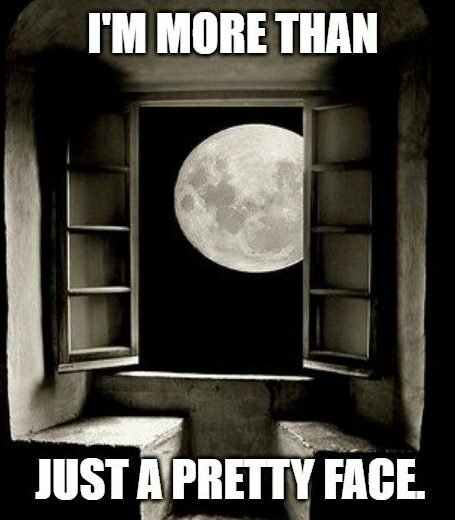 This is one of the more interesting and significant roles that the moon has played in our lives. As most of you know, our planet does not rotate smoothly, like a marble on a tabletop. Instead, it is closer to a spinning top, meaning that it has a slight wobble. While that doesn’t sound all that stable as we hurtle through the cosmos, that wobble is very important. It provides us with the seasons, days of differing sunlight length, and climatic regions that remain somewhat stable on a yearly or seasonal basis. The moon and the Earth are locked in a gravitational embrace, which provides stability to both celestial objects. Without the moon holding us in place, our planetary axis would shift much more drastically, even potentially flipping on its side, which was the fate of Mars, resulting in massive changes to the planet’s poles. This would make existence much more of a struggle, considering that the arctic regions of the world could occasionally shift to the equator, and vice versa. Permanent settlement in certain areas would be much more difficult. 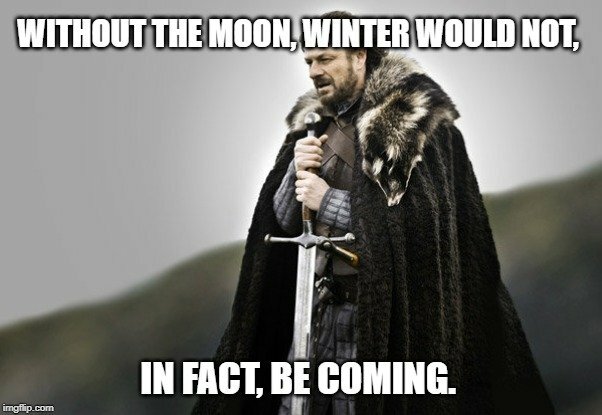 The moon continues to guide certain cycles for living beings on the planet, although the claims of the moon’s effect on menstruation and birth rates have been largely discounted. For animals who base their Circadian rhythms on the cycles of the moon, however, linked primarily to the presence of light at night, their evolution and survival would definitely be impacted if the moon were suddenly to disappear. Lions, bats, insects and countless other species throughout history have evolved certain behaviors in conjunction with the presence of the moon, such as mating, hunting, hibernation and aggression. It is conceivable that the path of evolutionary history would have been very different, and may not have even led to humanity as we know it. Did It Affect the Beginning of Life? One of the more contentious claims that some researchers have made is that without the presence of the moon, life on Earth might not have developed. While there is no way to predict whether life would have evolved or not, the presence of the moon—and its tides—certainly helped during those first tenuous steps of life. It is widely agreed upon that life began in the water of our planet, either at the deep geothermal vents at the floor of the ocean, or in the intertidal areas—where the tides come in and out near the shore. 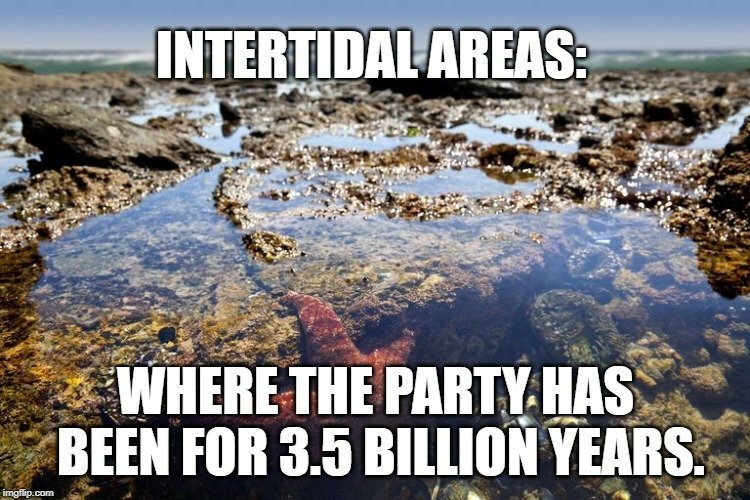 If life did indeed spark at the bottom of the ocean, then the tidal movements above had little to do with the initial rise. However, the movement of heat and energy due to tidal forces is believed to have helped drive the origination of protonucleic fragments, and eventually DNA. The movement of the tides is important because it can keep areas both wet and dry over the course of a day. If water with protonucleic fragments washed onto a warm rock and dried, it’s possible that it could have moved early fragments of life from water onto land in a transitional environment. Predicting whether life would have grown and diversified without the moon is impossible, but its movement from the oceans to the earth was certainly facilitated by the helpful gravitational nudge of the moon.